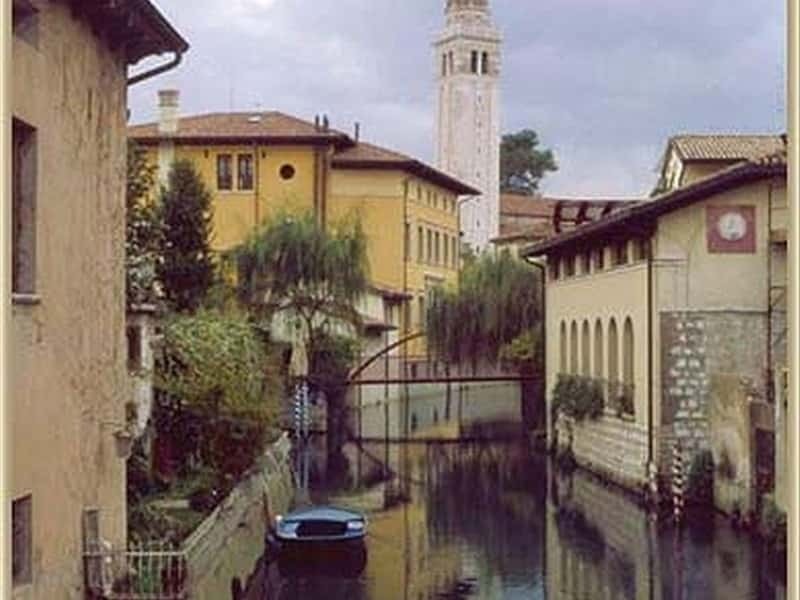 A municipality located in the province of Pordenone, located on the border with Veneto, the historical center of Sacile is located on two islands that rise from the river Livenza. The town has a small port and is adorned with Venetian palaces that reflect their beauty in the river's water. The discovery of some coins dating back to Imperial Ages proof the existence of a Roman settlement in the area. The center developed in the VII century on two islands, probably created by man. It was originally a strategic point for defensive purposes and in 1077 the town was incorporated into the Patriarchate of Aquileia, which granted to its inhabitants civil rights and the ability to create their own statutes. In the XII century, Sacile was subjected to siege by the troops of Treviso and Venice and in the XV century it became part of the territories subject to the domain of the Serenissima. At this time, accomplice to a great economic development, facilitated by the presence of a river port, the main centre was enriched by splendid buildings. With the fall of the Venetian Republic in 1797, ended the period of prosperity and the town submitted a period of serious economic crisis. With the Italian Restoration, the town became part of the Kingdom of Lombardy-Venetia and then passed to the Kingdom of Italy. The main centre suffered heavy damage during the two World Wars. - the remains of the fortifications of the XIV century. This town web page has been visited 28,005 times.